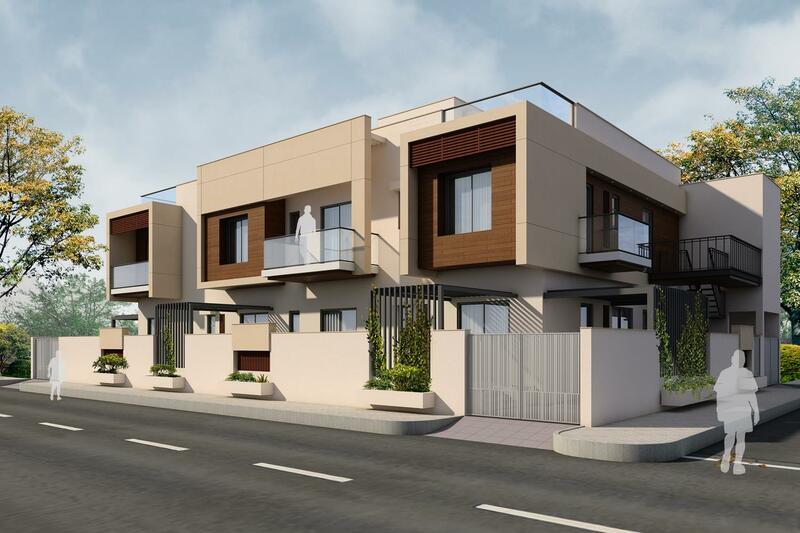 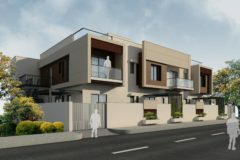 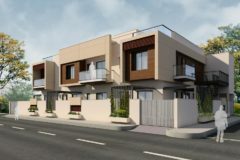 A mid-size twin house in Jodhpur, designed keeping in mind that there’s no compromise in the comfort and the ease of living for both the families. Located in the posh area of Jodhpur, twin house has opportunity to exhibit material rich play & is an exemplar of volume and architecture. 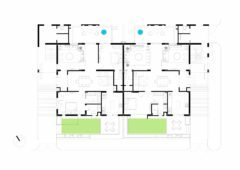 Client has requirement for separate access to a small office space to be provided at first floor, thus not hampering privacy of both homes. 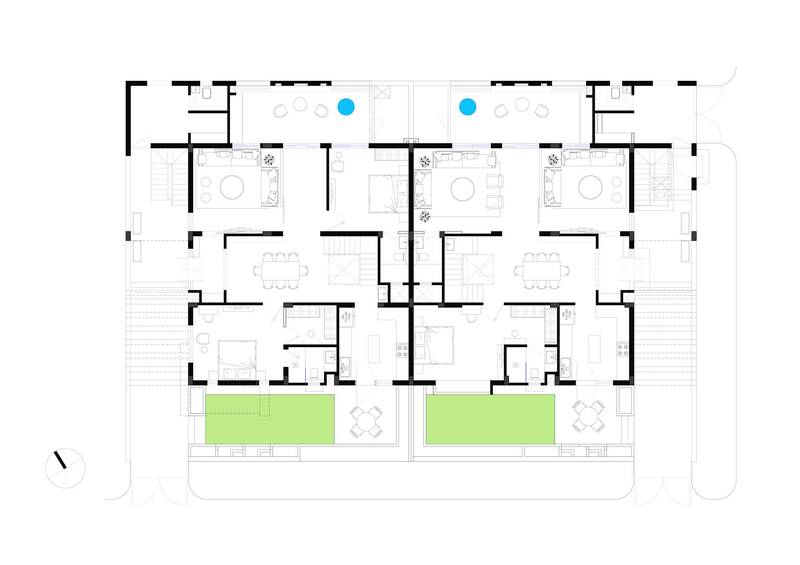 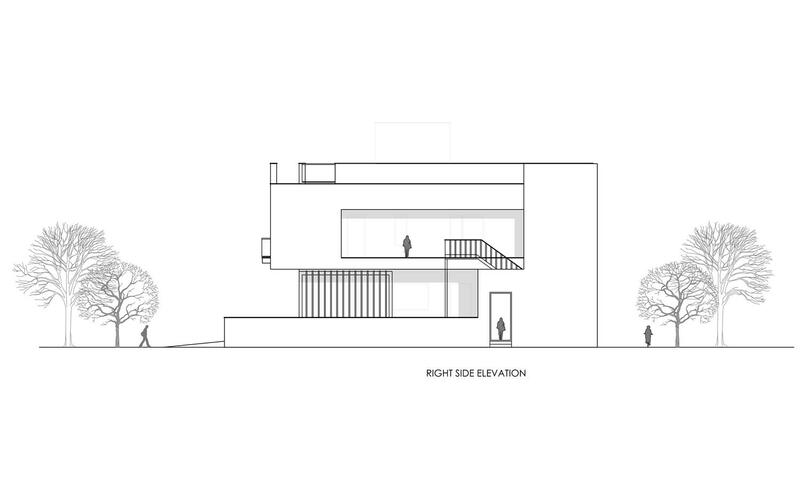 A front lawn and a private garden at the back are provided as the lungs of the structure. 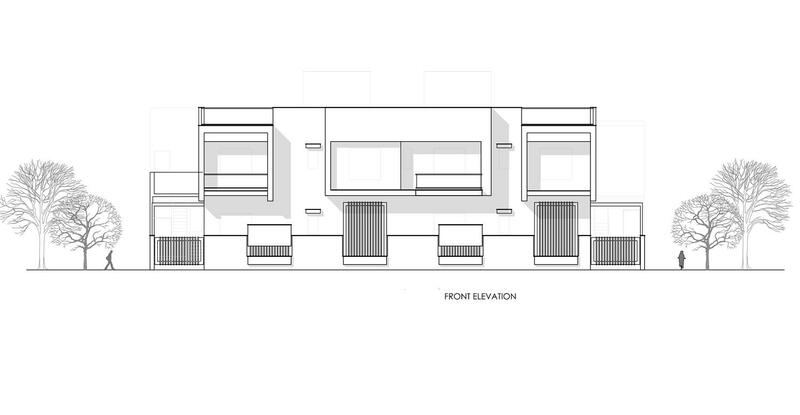 Facade treatment with warm color & natural wood adds to the architecture of twin residence.